MENLO PARK, Calif. – The William and Flora Hewlett Foundation, with the Alfred P. Sloan Foundation, Charles Koch Foundation, Democracy Fund, the John S. and James L. Knight Foundation, Laura and John Arnold Foundation, and Omidyar Network, announced today that it will support a new research initiative to increase public understanding of Facebook’s role in elections and democracy. In particular, the funders will support relevant research by an independent and diverse committee of scholars, whose expenses will be paid for by the funding consortium. Facebook will grant these scholars access to proprietary data that has met the company’s new, heightened security around user privacy. The committee will define research topics and invite the broader scholarly community to submit research proposals related to social media, elections and democracy, which will also be paid for by the funding consortium to ensure researchers’ independence. The agreement by Facebook, the nation’s most widely used social media platform, to share this data in a manner that balances individual privacy protection with broader public interest is a significant step forward in helping technology leaders, civil society groups, academics, journalists and policymakers to understand and improve the role of social media in democracy. Since 2014, the Hewlett Foundation has been making grants to support the values, norms and institutions of democracy – in particular, Congress – in a polarized age. This effort is one part of that broader initiative, which includes a focus on helping address the challenge posed to U.S. democracy by digital disinformation. The new effort aims to fill this gap by bringing Facebook together with the committee of scholars described above. The committee, with members to be named, will prioritize research questions and oversee publication; the peer review process and proposal selection will be managed by the Social Science Research Council, a U.S.-based independent, international nonprofit organization dedicated to advancing nonpartisan research in the social sciences and related disciplines. All research will be required to meet high standards of research ethics, including through the use of university Institutional Review Boards. “Social media is now where many go for news. We can’t understand our democracy without opening the hood and taking a look. This first, serious and independent effort to do that is an exciting opportunity to look deep inside the data and operations of the world’s largest social network,” said Alberto Ibargüen, Knight Foundation president. Knight support for this effort forms a key part of Knight Foundation’s Trust, Media and Democracy initiative, which aims to strengthen the role of strong, trusted journalism as essential to a healthy democracy. In September 2017, Knight Foundation announced $2.5 million in support to launch the initiative, which includes the Knight Commission on Trust, Media and Democracy, a nonpartisan group of influencers who are exploring causes for the erosion of trust in democratic institutions, in particular the press. This builds on the Charles Koch Foundation’s body of work in this area and grants they have supported with many of the partners joined today. The foundation supports students, scholars and organizations across the country to enhance an understanding of the design, structure, rights and obligations of digital forums to enable an open exchange of ideas and social progress. Related work includes commitments to the Knight First Amendment Institute at Columbia University and its scholars’ work to explore the legal implications of rapid advances in technology, the Newseum Institute and the Center for Democracy & Technology in exploring issues around free speech online today, as well as supporting hundreds of scholars around the country. 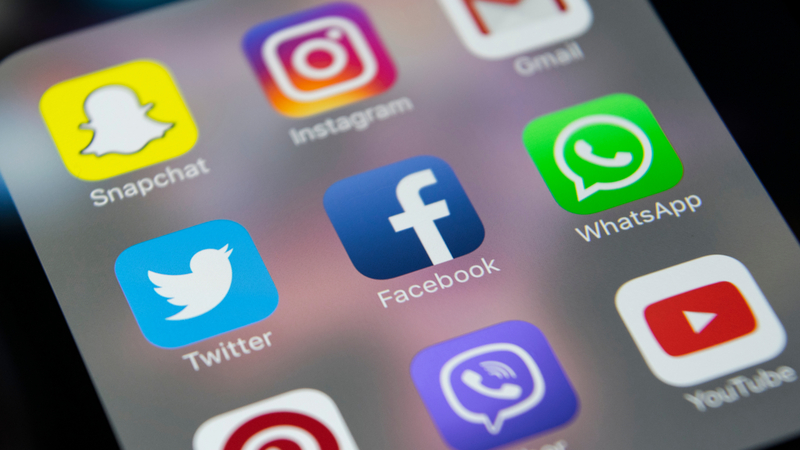 The Hewlett Foundation’s exploration of social media, disinformation and political polarization also found that, apart from Facebook, major research gaps persist related to other platforms, as well as around the strategies employed by bad actors such as foreign adversaries that may work across these platforms. Born noted that the research initiative with Facebook, a new approach for industry-academic collaboration based on a proposal by distinguished scholars Gary King of Harvard University and Nate Persily of Stanford University, may be a model for other platforms to adopt to better serve democracy. In addition to explanatory research about online behavior on platforms, the foundation plans to support experimental research to help examine potential solutions, as well as ethical, legal and technical research exploring how our norms around privacy and free speech must adjust to meet the demands of the digital age. The William and Flora Hewlett Foundation is a nonpartisan, private charitable foundation that advances ideas and supports institutions to promote a better world. Its Madison Initiative seeks to strengthen the norms, values and institutions of democracy in a polarized age. One of the largest philanthropic institutions in the United States, the Hewlett Foundation awarded roughly $400 million in grants in 2017 to organizations across the globe to help people build better lives. Established in 1966 through the personal generosity of the Hewlett family, the foundation is wholly independent of the Hewlett Packard Company and the Hewlett Packard Company Foundation. Learn more: www.hewlett.org. For more than five decades, Charles Koch’s philanthropy has inspired bold new ideas to help people improve their lives. Inspired by a recognition that free people are capable of extraordinary things, the Charles Koch Foundation supports research, educational programs, and dialogue to advance an understanding of how people can best live together in peace and prosperity and challenge convention. The Charles Koch Foundation provides grants to support a wide range of inquiry including criminal justice and policing reform, free speech and open inquiry, foreign policy, economic opportunity and innovation. To learn more visit charleskochfoundation.org.